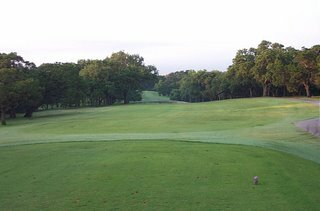 Today, I have a funny story about Austin's Fourth of July fireworks display, but first, dear reader, I feel compelled to tell the story of my experience at "Old Muni", Austin's oldest municipal golf course and formally known as Lions Municipal Golf Course. A selection of hats in the clubhouse are emblazoned simply with "Muny", and this is the course's preferred nomenclature amongst the locals. It's the kind of track I like to play alone so I can take in the surroundings and linger over certain aspects of the course and clubhouse without having to worry about holding up a playing partner. Measuring only 6001 yards from the tips, it's also the kind of course at which many players would look down their noses, and many more would consider too short in this world of 460cc drivers and Pro V1's. To be sure, its defenses are decidedly old school. The tight, twisting fairways are bound on either side by wide trees, and the small greens dare you to go long. The place still has some caché with the area's best players though. 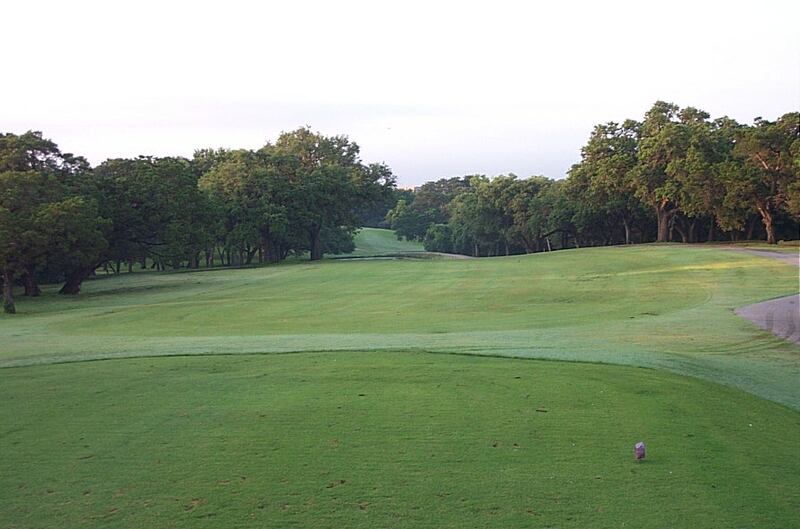 Texas' oldest Amateur championship, The Firecracker Open, was held there this weekend, so the course was in great shape. The rough was up, the fairways were manicured, and the greens were speedier than I would have imagined. The guy who maintains this website has a great hole-by-hole breakdown of the course with pictures, and I wish I had read his advice about everything breaking toward the river. Several putts outside of 15 feet left me scratching my head. That's "Hogan's Hole" pictured at the top of this post. I don't know if the story about Hogan's "Where's the fairway?" comment upon seeing the hole is equal parts truth and equal parts Texas tall tale, but I do know that I made a heck of a double bogey on it after an attempted 3-iron draw found the trees down the right side and my chip out found the rough on the left side. Otherwise, I acquitted myself fairly admirably on the 78-year-old layout. After starting the round with a bogey and two doubles, I went on to shoot an 87, and I celebrated the palindromic feat with a trip through the Long John Silver's drive-in for lunch. Tonight, I continue to go over today's round in my mind (as I'm prone to do), but the thing that keeps popping up instead of the individual shots is the unassuming little course with a big history. Oh yeah, there was a story about fireworks wasn't there? I guess I'll save that for "tomorrow."